A perceptive palm reader is helping one of the largest healthcare systems in the U.S. divine the true identities of its patients, ushering in a new era of biometric identity verification. The device, resembling a small black cube and manufactured by Tokyo-based Fujitsu Corp., uses a vascular pattern recognition system to accurately identify people while they hold their palm just above the cube. 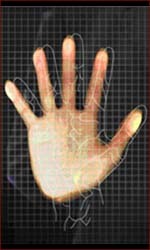 The scan, requiring less than a second, captures the unique branching pattern of blood veins and instantly converts key data points into a numerical code that can be compared with other palm scans to identify matches. The miniaturized device can plug into a laptop computer via a USB port, while an alternative version released last year incorporates the palm scanner into a computer mouse to facilitate secure logins. Carolinas HealthCare System, the nation�s third largest public healthcare provider, began using PalmSecure last year in several major hospitals as part of the nation�s first biometric patient identification system based on vascular recognition technology. Now deployed at eight locations and two urgent care facilities, the identification program has enrolled about 170,000 patients in all. Once patients have registered their unique biometric �vein template,� it can be linked directly to their medical records. �We have had excellent patient response and the product has performed well with no failures or replacements required to date after more than one year of use,� said Carolinas spokesman Jim Burke in an e-mail interview. The main challenge, Burke said, has been educating patients on the program�s benefits. By accurately identifying patients when they check in, he said, the palm-based system has virtually eliminated the risk that a person�s Social Security number or health insurance identification card could be used by someone else to fraudulently access their records or access healthcare services. 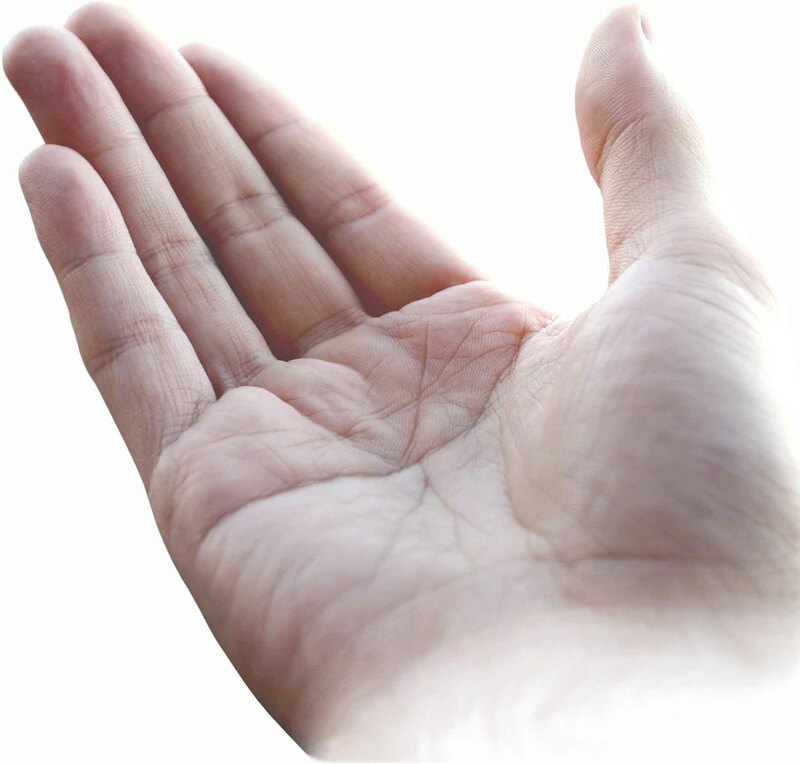 At its core, the palm-reading system works by recording subdermal vein patterns. �Subdermal means the information resides inside a person�s skin, and it cannot be altered by external factors such as cuts, burns, abrasions and any other skin condition,� said Hiroko Naito, business development manager at Fujitsu Computer Products of America. The technology extracts enough information from the vein pattern to create a unique template. To acquire each vein pattern template, the technology uses �near-infrared reflection photography,� in which a high-performance camera essentially snaps a digital picture of the vein pattern within a person�s palm. The method exploits a distinctive characteristic of deoxygenated hemoglobin carried by blood: its ability to absorb near-infrared light and create a unique distortion of the light reflected back. A computer algorithm extracts several data points from the resulting image and converts them into a compressed, encrypted and numbered vein template. The number can be correlated with bank, medical or other personal accounts, and a matching algorithm produces a similarity score for every new palm scan, deciding whether a similarity threshold has been exceeded and the pair can be scored as a match. More accurate than fingerprints Many banks in Japan have similarly begun using palm-based recognition as an extra level of security in case ATM cards are lost or stolen, Naito said. �Japanese banks use PalmSecure for verifying the ATM card owner at the point of transaction via an ATM machine,� she said. Japanese ATM cards are typically �smart cards� embedded with a micro memory chip that can hold additional identification information. The card owner�s PalmSecure vein template is stored in each smart card, she said, and the owner must provide the proper biometric information plus the PIN code to complete a card transaction. The technology, which debuted in Japan in 2004, has begun catching on in the U.S., and Naito said similar systems could be used for self-service kiosks and terminals, to record work time and attendance, or to control physical access to secure areas. Beyond the system�s high accuracy, she said, palm-based identification boasts the advantage of being more widely applicable than biometrics based on conventional comparisons such as fingerprints. Although fingerprint recognition is more widely used for identifying people, Naito said fingerprint sensors often don�t provide enough data points for critical verification decisions. (Typically, 12 to 18 data points are needed.) �The sensor device typically requires direct contact of a finger and is dependent upon the surface condition of the skin,� she said, meaning that dry or abraded skin can interfere with the system�s reliability. Skin diseases such as psoriasis can also impede print recognition. And some people with genetic disorders are born without fingerprints at all, limiting the system�s applicability among the general public. Researchers generally agree that iris scanning generates the highest level of accuracy in biometrics, but Naito contends the technology is not well accepted because of its highly intrusive nature. �People are uncomfortable exposing their eyes to some unfamiliar lights,� she said, adding that the system can force people to change their normal behavior, such as wearing contact lenses or long bangs. The technology also can be cost prohibitive and challenging to install and operate, requiring frequent adjustments for the height and angle of different faces to obtain a good eye scan. Carolinas determined that the palm recognition technology�s accuracy and security features offered the best option for its patient network, Burke said. Because a computer algorithm immediately translates the image of palm veins into a number, the image cannot be stolen and reused, and patient privacy can be better safeguarded. In addition, database retrieval is faster because a number, not an image, is accessed, he said. Improved accuracy reduces that chance that patient records could be accidentally confused. Finally, patients place their hand a few inches above the device instead of actually touching it, eliminating the need for frequent cleanings and decreasing the potential for equipment damage. 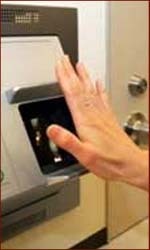 �During our analysis and research, we also determined that other types of biometric identification either required touch (fingerprint), or were deemed too invasive by the general public (retinal scanning),� Burke said. Naito stressed that because the PalmSecure system stores numbers instead of images, the vein pattern information would be incomprehensible to anyone who tapped into the system illegally. But perhaps one the best selling points of all, she said, is the algorithm�s low �false acceptance ratio� of 0.00008 percent, meaning that it incorrectly matches a vein template less than once per million tries � an error rate that even the best human palm-reader would be hard-pressed to match.